VCAAA’s LIVEWell (formerly titled Eldercare) is the premier resource guide in Ventura County for individuals 60 and older, caregivers, and people with disabilities because it provides articles and resource listings to help you and your loved ones navigate through some of the challenges we all face in our quest to maintain our independence. It is a tool used to advocate for the services you need to LIVEWell and age optimally. This comprehensive guide provides crucial information in English and Spanish that is related to physical and mental health, financial resources, fall prevention, Medicare and other health insurances, benefit enrollment, caregiver support, Alzheimer’s disease/dementia support, transportation, fraud and other legal issues, and a variety of volunteer opportunities. 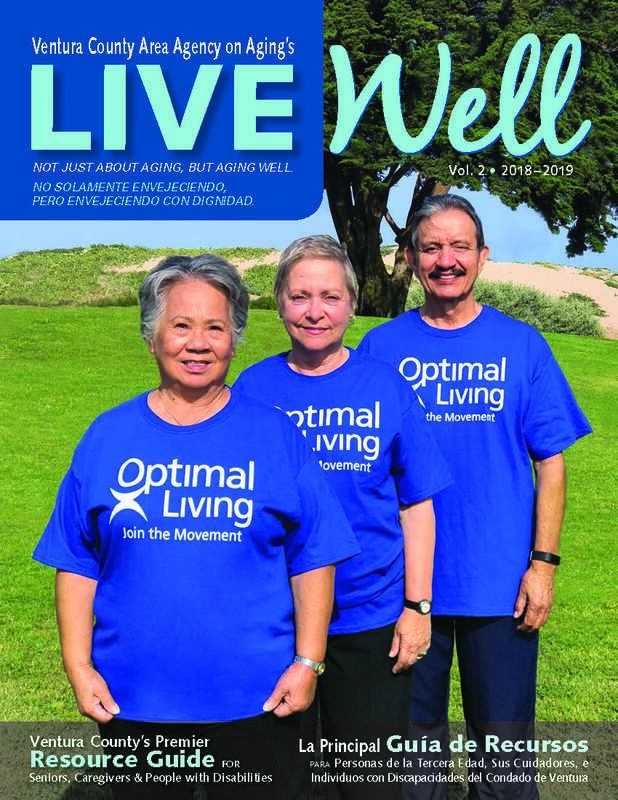 LIVEWell is published by the Ventura County Area Agency on Aging and promoted through the VCAAA Foundation and dozens of other local agencies and organizations.